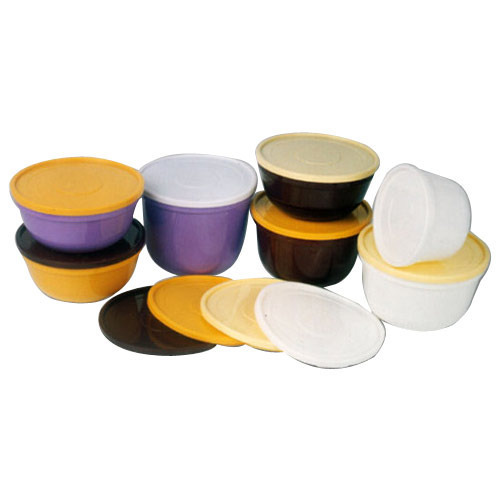 Our proficiency lies in offering an excellent grade range of Protecpac Plastic Jars to our esteemed customers. The offered plastic jar is manufactured making use of the premium quality polymer that is sourced from the reliable vendors of the market. It is widely used for storing or packing wide variety of tablets and capsules. To guarantee its quality, it is duly checked on varied parameters before the final delivery. Apart from this, customers can purchase it from us at pocket friendly prices. Being a quality oriented organization in this business we are engaged in offering a wide assortment of Ayurvedic Medicine Containers to our clients. This medicine container is designed by our skilled professionals using sophisticated technology and fine quality material which we bought from our reliable vendors. We ensure that a damage free and flawless quality containers reaches at the clients' end. Moreover, clients can get the provided container from us at very affordable prices. Backed by our rich industrial experience in this domain, we are devotedly engaged in offering Ayurvedic Powder Containers that finds various applications in household, hospital and others places. We customized the complete range in compliance with the specific desires and needs of our precious clients. Manufactured from high grade of plastics and other raw materials each of the products provides best value for the money to our customers. 'C' type Jars are a part of "WELPAC" brand plastic threaded Jars. Its convinient shape makes easy for the end user to dispense the packed product. These Jars are widely used to pack Ayurvedic Chyavanprash. The Jars are made using virgin grade of polymers and are food grade. 'C' type Jars are available in various sizes and food grade colours. Option of getting engraved of the company logo on the cap is also available. 'C' type Jars could be induction or foil waded. Inner Plug is also available. 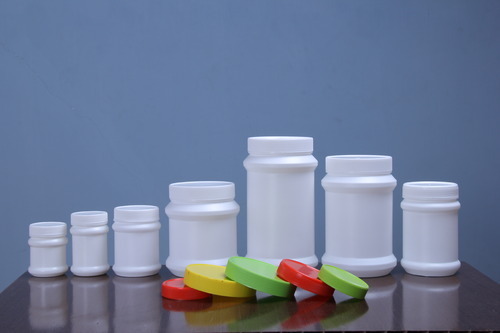 Our proficiency lies in offering an excellent grade range of capsule containers to our esteemed customers. The offered plastic jar is manufactured making use of the premium quality polymer that is sourced from the reliable vendors of the market. It is widely used for storing or packing wide variety of tablets and capsules. To guarantee its quality, it is duly checked on varied parameters before the final delivery. Apart from this, customers can purchase it from us at pocket friendly prices. 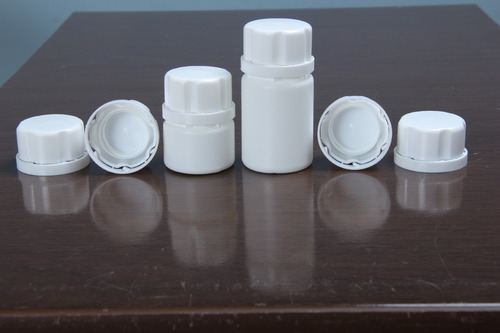 In order to maintain our goodwill among our esteemed customers, we are providing the best quality range of Capsule Jars. It is widely used for the storing purpose of tablets & capsules. It is widely demanded in the market due to its high storing capacity and moisture-proof design. Our well-trained professionals manufacture the offered jar using the optimum grade plastic and sophisticated technology in adherence with the set industry norms. Additionally, customers can avail it from the market at industry leading prices. Under the strict surveillance of our skilled personnel, we are actively involved in offering an exclusive array of "STARPAC" brand plastic Food Container. Size 10 gms. to 1000 gms. 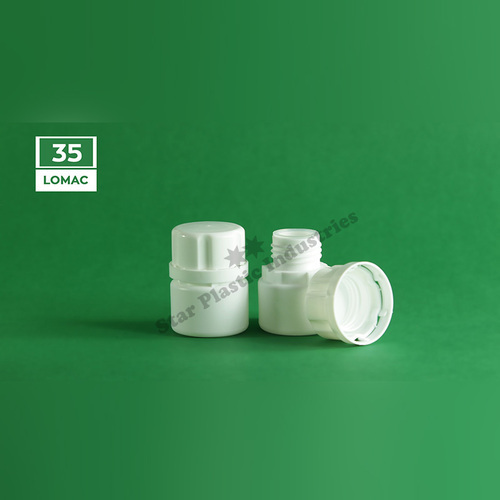 "WELPAC" brand plastic threaded Jars are moulded using best quality of polymers blended with high efficacy and robust design. 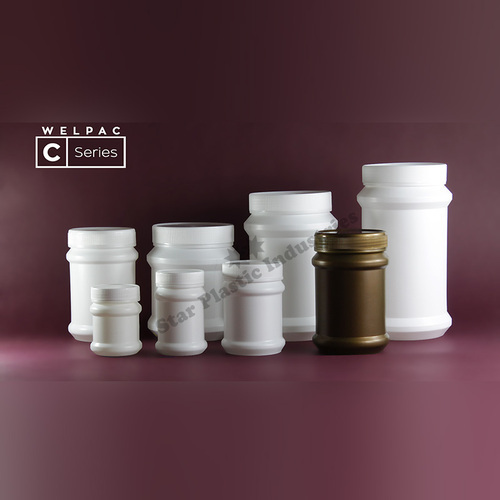 "WELPAC" brand plastic threaded Jars are available in various sizes and colours ranging from 10 cc to 1250 cc. 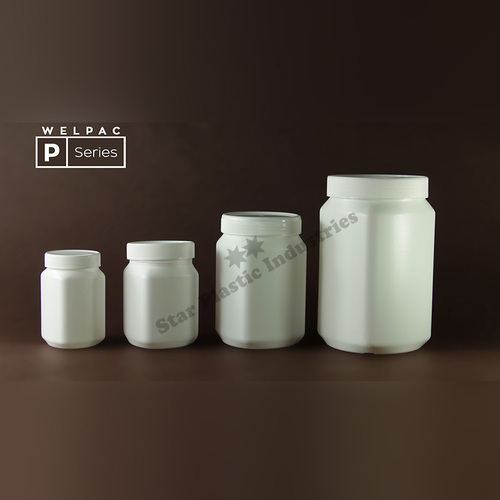 "WELPAC" brand plastic threaded Jars passess through stringent test during production & post production and are cent percent food grade and usable for edible products and drugs. In order to maintain our goodwill among our esteemed customers, we are providing a best quality range of 'D' type Tablet Jars. It is widely used for the storing purpose of tablets & capsules. It is widely demanded in the market due to its high storing capacity and moisture-proof design. 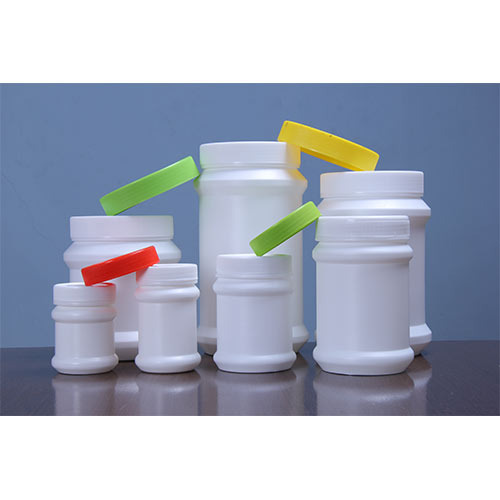 Our well-trained professionals manufacture the offered jar using the optimum grade plastic and sophisticated technology in adherence with the set industry norms. Additionally, customers can avail it from the market at industry leading prices. 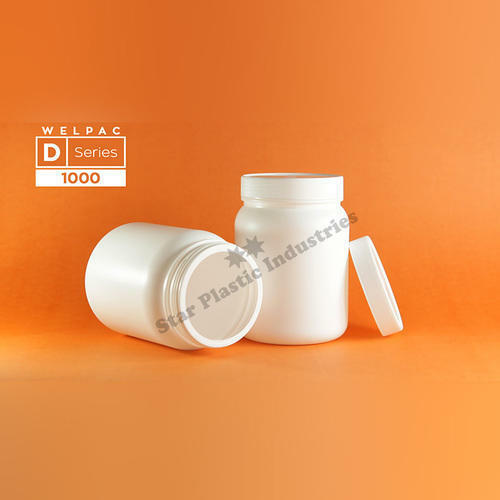 Our proficiency lies in offering an excellent grade range of Welpac Plastic Jars to our esteemed customers. The offered plastic jar is manufactured making use of the premium quality polymer that is sourced from the reliable vendors of the market. 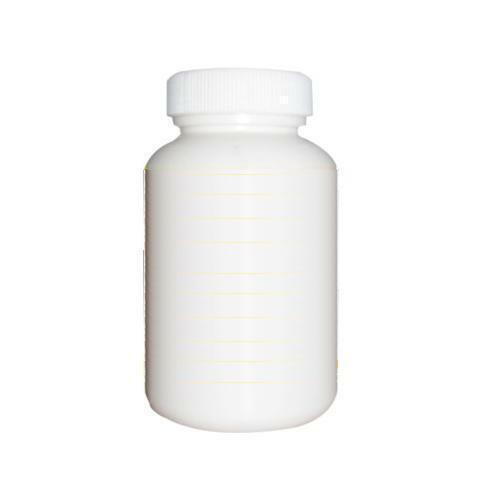 It is widely used for storing or packing wide variety of tablets and capsules. To guarantee its quality, it is duly checked on varied parameters before the final delivery. Apart from this, customers can purchase it from us at pocket friendly prices. "WELPAC" brand 'P' type plastic square Jars. 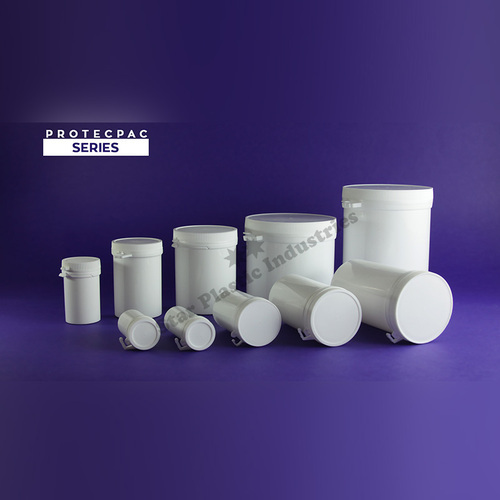 'P' type Jars are moulded using virgin food grade polymers. It passes through stringent quality tests during production and post production. Available in various sizes and colours to suit every kind of pack size.